Do you want to know exactly what's in your lip gloss? Then try making your own from scratch. All you need is a good recipe and a few ingredients you can find at any grocery or health food store. Each of the following recipes makes a small amount of lip gloss, but a little really does go a long way. Try each recipe as a sample, and then you can double or triple a batch as needed if you decide you want to make more at a time. This recipe makes an incredibly light and nourishing lip gloss. You can purchase aloe vera gel at any health food store, or you can squeeze it fresh from your own plant if you have one. Measure out the aloe vera gel and almond oil, and pour them into a sterile lip gloss jar. 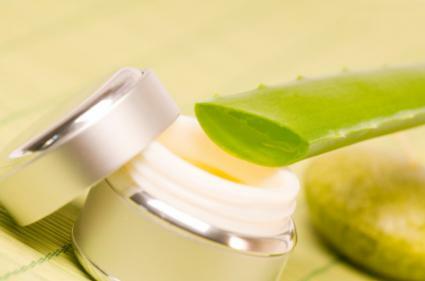 Snip one end of each vitamin E capsule with sterilized scissors, and pour the contents into the aloe vera gel. Using a clean toothpick, slowly stir the ingredients until they're mixed well. If you want to tint your gloss, add one drop of beet juice at a time until you reach your desired shade. Just don't add too much, or your gloss will be too thin. Screw the cap securely on the container, and your lip gloss is ready to use. The aroma of vanilla makes this lip gloss practically irresistible. Beeswax also gives this gloss a slightly firmer texture and a little more staying power than a completely oil or gel-based gloss. Combine the beeswax and coconut oil in a ziplock plastic bag. Using sterile scissors, snip the ends of the vitamin E capsules,Looking add the oil to the bag, and zip it closed. Place the bag in a bowl of hot water in order to melt the beeswax. When the wax is melted, remove the bag from the water and work the ingredients together by gently squeezing the bag. 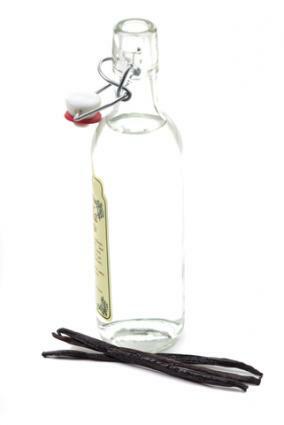 Open the bag, add the vanilla extract, and work together once more. Using the plastic bag like a pastry bag, snip the tip off one corner with your sterile scissors, and squeeze the contents into a sterile lip gloss container. Cover the top of the container with a little plastic wrap, and allow the contents to come to room temperature before putting the lid on the container. This recipe is fun if you like to experiment with different flavors. Young girls may especially enjoy trying out a number of flavors found in the baking isle at any grocery store, including strawberry, lemon, cherry, rootbeer, and more. Snip the vitamin E capsules with steril scissors and drain the contents into a plastic bag. Add the grated beeswax and sweet almond oil to the bag. Zip the bag closed, and place it in a bowl of hot water until the wax melts. Remove the bag from the water, and work it with your fingers to mix the ingredients. Open the bag, and work in your preferred flavoring just a few drops at a time until you have the level of flavoring you want. Snip one corner of the bag with your sterile scissors, and gently squeeze the lip gloss into a sterile container. Cover the container with plastic wrap, and let the gloss cool and set before screwing the lid on securely. Looking for something slightly different? You can try customizing recipes in the following ways. To add color to any gloss, try adding a drop or two of beet juice. 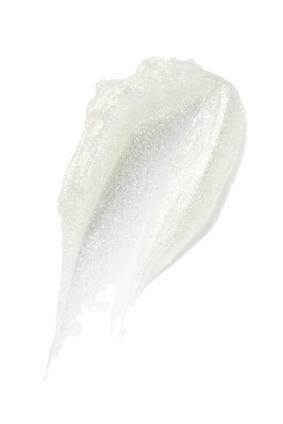 You can also crumble caked rouge very fine and stir a small amount into your gloss mix. To add sparkle, add a tiny of cosmetic glitter as the last ingredient in your recipe. To add flavor, use bakery flavorings or sweetened powdered drink mix in your recipe. Just be careful of the colors you choose. You can clean, sterilize and reuse jars from commercial cosmetics. However, you still might want to consider purchasing fresh containers, especially if you want to make multiple batches to give as gifts. Specialty Bottles offers a selection of lip balm tubes that could work well with beeswax based recipes. Elements Bath and Body sells a selection of small clear jars, as well as inkjet labels you can print with your own info. DIY Cosmetics sells lip gloss tubes with built-in sponge wands for easy application. You can also sometimes find small plastic jars in the samples isle of the Health and Beauty Aids department at your local Walmart or Meijer store. It's so much fun making your own lip gloss that you'll probably want to mix and match different ingredients to make glosses for every occasion. It's a process of trial and error, so realize that you may occasionally create a batch that doesn't turn out quite like you planned. Just learn from your mistakes, and soon you'll be turning out batches of homemade lip gloss you'll be proud to share with your friends.